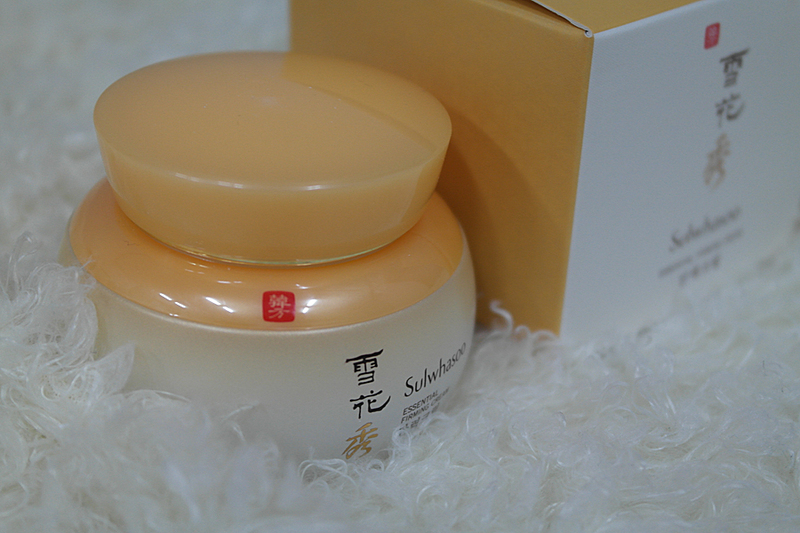 I am sure that many of you know about this popular Sulwhasoo Firming Cream. Even though Sulwhasoo Firming Cream is a product that is quite popular among those people who are in their thirties or forties, it's a product that I want to strongly recommend for those people who lacks moisture on their skin and also those people who are losing flexibility of the skin. I think it's definitely worth its price. Doesn't the design look very neat just like how an oriental cosmetics should be? 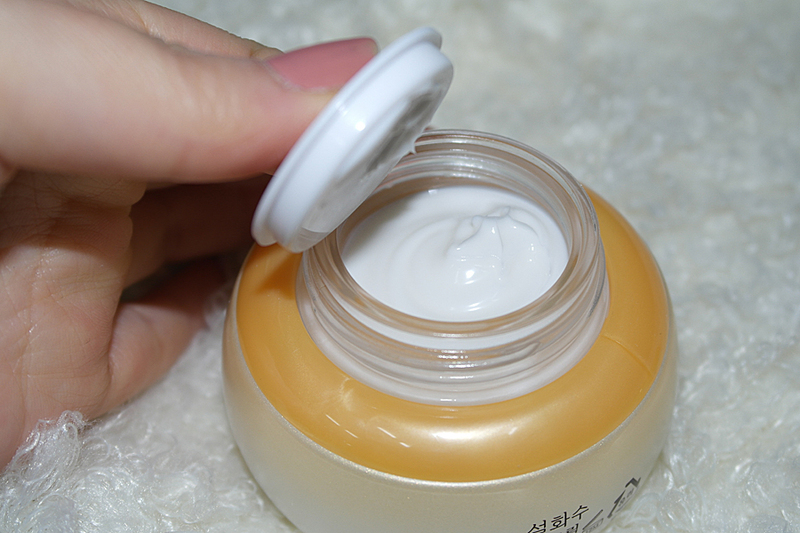 There is nothing really special about the content of this Sulwhasoo Firming Cream. The texture is quite similar to other creams. However, it's a little more rich than ordinary creams. It can be sort of disturbing for those people who have oily skin. However, I personally think everyone should have a product like this one in a weather like these. You can use the product in a very convenient way because it has a spatula in it. This applies the same on other products, but it would have been so much better if they designed it in a way so that the users can store the spatula in a more convenient way. It has the unique oriental fragrance of Sulwhasoo and I really like it because it's not very disturbing. I spread the appropriate amount on the back of my hand and absorbed into the skin. and it seemed to provide outstanding moisturizing effects. The skin became a lot more moist and flexible. However, the sense of residues can be a little disturbing after it gets absorbed into the skin. In cases like this, I think you can use the Hemicha Essence together. This is Hechima Essence that I am going to use it together with Sulwhasoo's product. You do not have to worry about the harmful ingredients because it's a product that only contains natural ingredients. It's one of my favorite products because it enhances the flexibility of the overall skin. You can see amazing effects just by using this product regularly when your skin lacks flexibility. 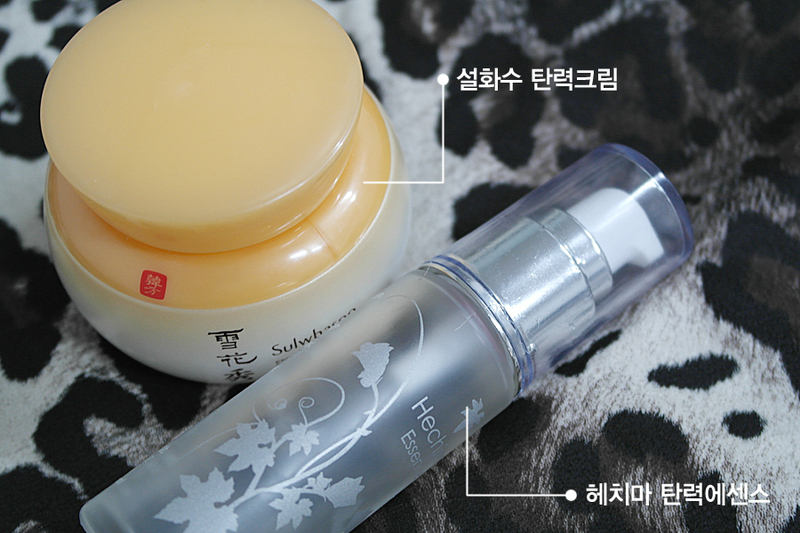 You should apply Sulwhasoo Firming Cream on your entire face before applying Hechima Essence. I think you can apply it when you are applying the skin & lotion after washing your face. Even though my skin feels a lot more flexible after using the product, I shouldn't forget to apply Hechima Essence to relieve the sense of oil. It is a product that consists of high moisturizing ingredients, such as hechima fermentation solubles, tocopherol and pea extracts. It's not a product that's sticky like many other products. It's actually a transparent liquid type product that is very clean. Also, you can use it as a substitute of an eye cream. Hechima Essence is a product that can be used for a variety of purposes and it can also be used when you are trying to provide flexibility on you entire face, whereas ordinary eye creams can only be used on the areas near your eyes. The smooth feeling and the quick absorption are the product's two biggest advantages. I usually use this Hechima Essence before I go outside because it provides immediate flexibility to the skin and also because it lasts for a very long time, whereas those products that are in the market do get absorbed into the skin quickly and don't last very long on your skin. You can take care of your skin very carefully with this Hechima Essence before applying Sulwhasoo Firming Cream. You can simply pump it twice or three times and absorb it into the skin because it's a pumping type product. I did some intensive care on the areas near my eyes, which is one of the most fragile areas on your body. flexible as the content got absorbed into the skin very well. I really liked it because it was sticky after it dried up and also because I was not able to feel the sense of residues. 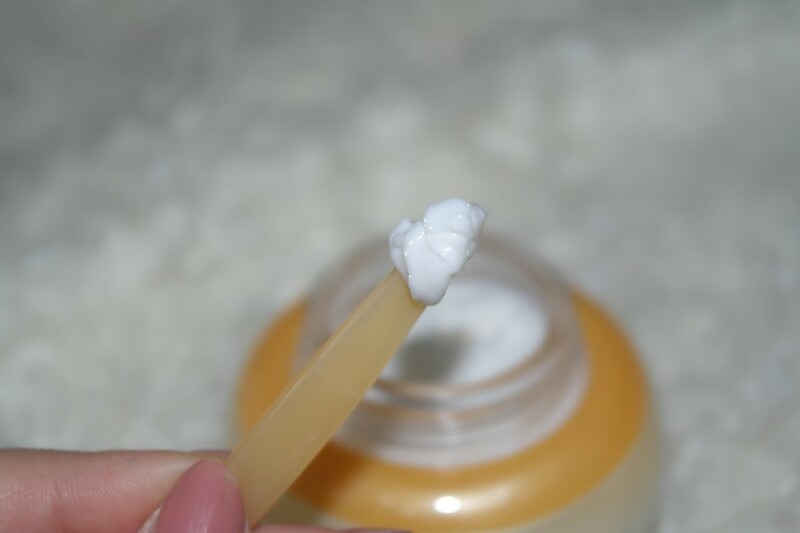 You should be able to feel a clean and refreshing feeling if you use it before applying the moisturizing cream as the last product for your basic care. This is after doing the care on my face with Sulwhasoo Firming Cream. It feels like the flexibility of my skin is going to be restored if I use it regularly like this. I was sort of worried because my skin was getting very rough and dry. But I guess i won't have to worry about it anymore as long as I have Sulwhasoo Firming Cream and Hechima Essence. I strongly recommend it for those people who are worried about their skin's flexibility just like me. Item was good and feel lightweight and looks natural on the skin. I like the consistency too as it isn't too thick or too watery. I like the product. Get it if you do not need much coverage. What is Hechima Essence and where can I order it from? I live in Singapore. Thanks! and exposure! Keep up the terrific works guys I've included you guys to my own blogroll. The noise cancellation headphones manufactured by the company are several in number and come in different attractive models. In case you have PSN codes, you get access to video games you will otherwise pay money for. Shoot the Eruptor twice to take out the Boiler Lock so you can move on. but I have bookmarked it and also added your RSS feeds, so when I have time I will be back to read much more, Please do keep up the great b.
submit and if I could I want to suggest you some interesting issues or tips. It replenishes the self, applauds greatness and more importantly this perseveres. a great deal of reliant on technology, obviously. Society states that all man must find their own truth. auctions could possibly offer would be the first to hurry along. The OS employs less MB of the device's storage. Everyone is being hit by this economy challenging. You do some hunting with your friends or all on your own and can simply go up towards the snowy hills. soil. Hydroponics gardening is, essentially, a way to cultivate vegetation using a nutrient answer as a substitute of soil. What's up friends, its impressive paragraph regarding educationand entirely defined, keep it up all the time. if for a review of a guy, may? wow,, how fast it is.. I want to buy it, is thare in indonesia? Nice post, this is useful. Her blog is very beneficial. Item is good and feels light and looks natural on the skin. I like consistency as well as not too thick or too thin. I love the product. Get it if you do not need a lot of coverage. nice article...want to read any more! Clean n clear... Good information, i like your sharing..
Do you need information Car Accident Lawyer ? Very good article for the readers who are in need of information about skin care , thank you very much ! The article was very informative at all! thanks for sharing. "Cool, this is my favorite article"
I like the product. Get it if you do not need much coverage. Item was good and feel lightweight and looks natural on the skin. it's save for skin ? If the course can also be applied topically to the car BMW 1 Series, and can make my car became more luminous, I certainly will be looking for cream. nothing really special about the content of this cream to flatten Sulwhasoo. 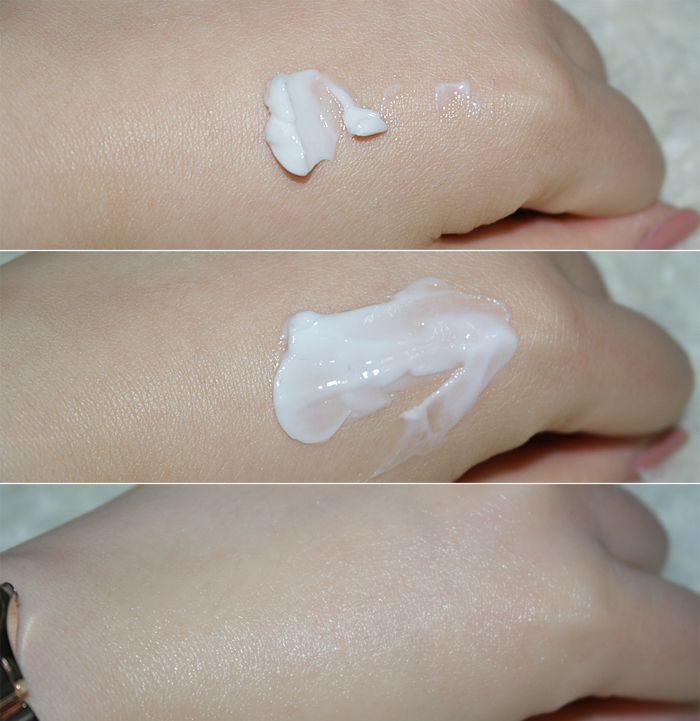 The texture is very similar to other creams extent. However, it is a little more rich than regular creams. with his prowess Sulwhasoo Firming Cream, which provides skin care increasingly radiant. wow.. whats i that, cool information, thanks ya..